In September 1997, when Slovakia defeated Canada in the two nations’ only previous Davis Cup meeting, Felix Auger-Aliassime and Denis Shapovalov had not even been born. More than 21 years later, the #NextGenATP duo was responsible for levelling Canada’s head-to-head record against Slovakia, rallying from 1-2 down in Bratislava to earn Davis Cup Finals qualification. Earlier in the day, Martin Klizan and Filip Polasek had come from a set down to beat Auger-Aliassime and Shapovalov 3-6, 7-5, 6-3 and earn Slovakia a 2-1 lead. But Shapovalov soon sent the tie into a decisive fifth rubber, beating Klizan 7-6(4), 6-4 in one hour and 45 minutes. The 18-year-old Auger-Aliassime then booked Canada’s place in the 18-nation event, defeating Norbert Gombos 6-3, 6-4 in 88 minutes. The victory was Auger-Aliassime’s first in Davis Cup competition, following his debut loss to Klizan on Friday. After winning both opening singles rubbers, Germany completed a perfect tie in Frankfurt with three victories on Saturday. The home nation clinched victory after Tim Puetz and Jan-Lennard Struff’s 6-2, 6-3 win over Gabor Borsos and Peter Nagy, before Alexander Zverev and Philipp Kohlschreiber scored their second wins of the tie. Zverev dropped only three points behind his second serve (7/10) to beat Borsos 6-3, 6-4, while Kohlschreiber edged David Szintai 6-7(5), 6-3, 10-5. Kohlschreiber hit eight aces and clinched the only break of the match, in the second set, to triumph after one hour and 38 minutes. Are You Ready For Frantic February? The busiest month on the 2019 ATP Tour calendar begins Monday. In February, there will be 12 tournaments contested in eight countries across four continents and you can watch it all on TennisTV.com. Three ATP 250 tournaments begin next week, with the inaugural Cordoba Open joining events in Montpellier and Sofia. Fabio Fognini leads the field in Cordoba, with former World No. 7 David Goffin and Rolex Paris Masters champion Karen Khachanov headlining in Montpellier and Sofia, respectively. The following week marks the first of four ATP 500 events in February, with World No. 3 Alexander Zverev, Marin Cilic, Kei Nishikori and Stan Wawrinka all competing. Also in action will be Top 10 stars Kevin Anderson (New York Open) and Dominic Thiem (Argentina Open), who will be aiming to defend their titles during a busy week. Week three of Frantic February will see Thiem and Diego Schwartzman attempt to lift their second titles at the ATP 500 event in Rio de Janeiro, with Juan Martin del Potro scheduled to make his 2019 ATP Tour debut at the Delray Beach Open. In Marseille, defending champion Khachanov will return to action at the Open 13 Provence. In week four, Roger Federer (Dubai) and Rafael Nadal (Acapulco) will be joined by a number of Top 10 stars at the final two ATP 500 events of the month, with Sao Paulo hosting the second of two events in Brazil. Get Your Monthly Or Annual Subscription To Tennis TV Today! Following the relocation of the Ecuador Open, the first edition of the Cordoba Open will be take place from 4-10 February. Top 20 stars Fognini, Schwartzman and Marco Cecchinato will all compete for the first clay-court trophy of the 2019 ATP Tour season in the opening leg of the five-tournament swing through Latin America, aptly coined the “Golden Swing”. Australian Open semi-finalist Lucas Pouille will attempt to lift his second straight title at the Open Sud de France. Last year, Pouille became the sixth French champion in the eight editions of the event, beating three-time champion Richard Gasquet in the championship match. Young stars Khachanov, Stefanos Tsitsipas and Daniil Medvedev will be joined by Wawrinka for the fourth edition of the event in the Bulgarian capital. Last year, Mirza Basic defeated Marius Copil in a surprise final. Zverev, Cilic and Nishikori will feature in Rotterdam, alongside Wawrinka. The event, first staged in 1974, was won for a record third time by Federer in 2018. As a result of his final victory over Grigor Dimitrov, Federer returned to No. 1 in the ATP Rankings, a position he held for a total of six weeks during the 2018 ATP Tour season. 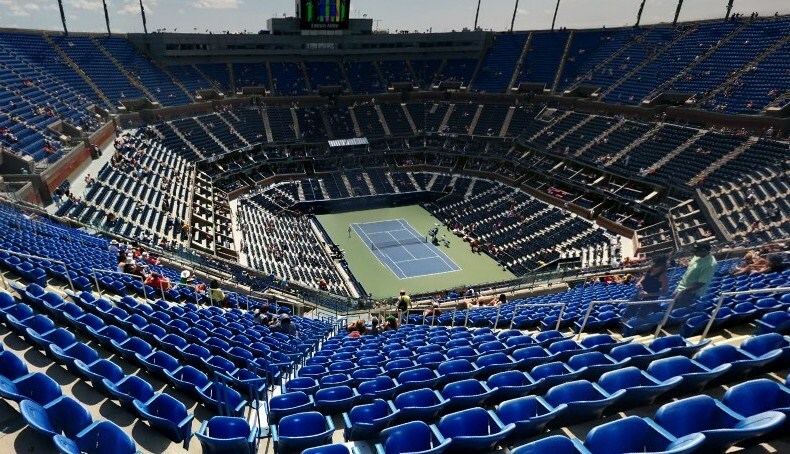 Following its relocation from Memphis to Long Island in 2018, the second edition of the New York Open will be headlined by Anderson and John Isner. In last year’s championship match, Anderson lifted his first tour-level trophy since 2015, beating home favourite Sam Querrey in a final-set tie-break. Thiem will be aiming to lift his third title in Buenos Aires. The Austrian first triumphed in the Argentine capital in 2016 (d. Almagro), before returning last year to claim his second trophy (d. Bedene). Last year’s titlist Khachanov will bid to become the first man since Thomas Enqvist in 1998 to win back-to-back titles in Marseille. The event, first held in 1993, has seen six French men lift the trophy, including Guy Forget (1996), Fabrice Santoro (1999), Arnaud Clement (2006), Gilles Simon (2007, 2015), Jo-Wilfried Tsonga (2009, 2013, 2017) and Michael Llodra (2011). Federer is scheduled to return to action for the first time since the Australian Open in Dubai. The seven-time champion will aim to capture his 100th tour-level title at the ATP 500 event, won by Roberto Bautista Agut of Spain in 2018. Australian Open runner-up Nadal is scheduled to make his return in Acapulco, alongside Zverev, Anderson and Wawrinka. The Spaniard lifted the trophy in 2013 (d. Ferrer) and also reached the championship match in 2017 (l. to Querrey). The final event in the “Golden Swing” will feature Malek Jaziri, Joao Sousa and Leonardo Mayer. Between 2008 and 2013, each of the six editions of the event in Sao Paulo were won by Spanish players. The first serve comes barreling down. If Rafael Nadal, Roger Federer or Novak Djokovic return the powerful delivery back into play, they just completely levelled the playing field. An Infosys ATP Beyond The Numbers analysis of the Big Three returning first serves on hard courts and clay courts shows they combine to win 50.1 per cent (8555/17073) of first-serve return points when they get their return back in play. 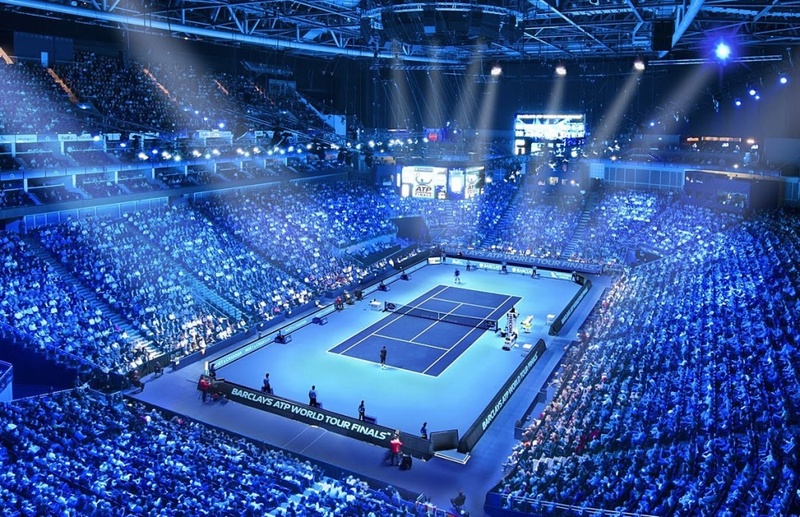 The data set comes from ATP Masters 1000 events from 2011-2018 and the Nitto ATP Finals. On hard courts, Djokovic was the only one of the three players to be above 50 per cent (52.2%), while Nadal took the honours on clay, winning 50.6 per cent (1378/2723) of first-serve return points. When you break the service box down into the three target areas — wide, body and T — you gain a little more insight into the specific strengths of each player returning first serves. What’s interesting is that Federer was the top performer returning wide in the Deuce court on both hard courts and clay courts. Nadal, with his lefty prowess, dominated five of the six Ad court locations (three each on hard and clay), while Djokovic was superior with his backhand return against first serves down the T in the Deuce court. 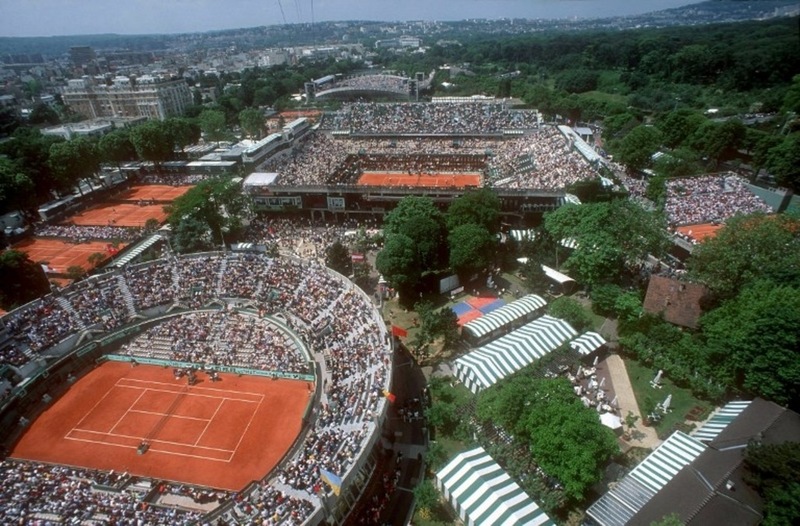 Of the 12 locations for clay courts and hard courts, Nadal was superior in five of them, followed by Djokovic with four and Federer with three. The stars don’t always put the first serve back in play, but when they do, they basically have as good of a chance as the server to win the point. Monday, 4 February: From 15:30 p.m., From 19:00 p.m.
Tuesday, 5 February: From 15:30 p.m., From 19:00 p.m.
Wednesday, 6 February: From 11:30 a.m., From 15:30 p.m.
Thursday, 7 February: From 15:30 p.m., From 19:00 p.m.
Friday, 8 February: From 15:30 p.m., From 19:00 p.m.
Saturday, 9 February: From 17:00 p.m., From 19:00 p.m.
Sunday, 10 February: From 17:30 p.m., From 19:00 p.m.
Central court capacity: 4,270. Court 1: 1,000. Court 2: 500. Did You Know… The city of Cordoba, 435 miles northwest of Buenos Aires, has hosted a number of international sporting events, including FIFA World Cup football qualification matches. Monday, 4 February: From 16:00 p.m.
Tuesday, 5 February: From 12:00 p.m., From 18:00 p.m.
Wednesday, 6 February: From 12:00 p.m., From 18:00 p.m.
Thursday, 7 February: From 12:00 p.m., From 18:00 p.m.
Friday, 8 February: From 12:00 p.m., From 18:00 p.m.
Saturday, 9 February: From 14:00 p.m., From 18:00 p.m.
Sunday, 10 February: From 14:00 p.m., From 17:00 p.m.
Japan booked its place at the 2019 Davis Cup Finals in dramatic fashion on Saturday, recovering from 1-2 down to claim victory against China in Guangzhou. Having split the opening singles rubbers, Mao-Xin Gong and Ze Zhang earned China a 2-1 lead with a 5-7, 7-5, 6-4 win over Ben McLachlan and Yasutaka Uchiyama, as the host nation aimed to defeat Japan for just the second time in 10 Davis Cup ties. But Yoshihito Nishioka forced the meeting into a decisive fifth rubber after cruising past Yibing Wu 6-2, 6-0. With a spot in Madrid on the line, Taro Daniel edged Zhe Li 6-3, 6-7(4), 6-3 in two hours and 44 minutes. Daniel, who defeated Zhang on Friday, converted seven of 16 break points to record his second victory of the tie. Australia backed up its opening singles rubber victories, sweeping past Bosnia and Herzegovina 4-0 in Adelaide. John Peers and Jordan Thompson defeated Mirza Basic and Tomislav Brkic 7-5, 6-1 to claim an unassailable 3-0 lead, before Davis Cup debutant Alexei Popyrin claimed his first victory in the team competition, beating Nerman Fatic 6-1, 7-6(2) in 61 minutes. Andreas Seppi booked Italy’s place in Madrid, beating Prajnesh Gunneswaran 6-1, 6-4 to seal a 3-1 win in Kolkata. After establishing a 2-0 lead on Friday, Italy was forced into a fourth rubber following Pune champions Rohan Bopanna and Divij Sharan’s 4-6, 6-3, 6-4 victory against Matteo Berrettini and Simone Bolelli. But Seppi held his nerve, dropping just three points behind his first serve (25/28) en route to victory to earn qualification for the visiting nation. Kazakhstan will also be present in the Spanish capital, following Mikhail Kukushkin’s 6-4, 6-1 win over Joao Sousa. Having lost both opening singles rubbers, Portugal forced the tie into a fourth rubber after Gastao Elias and Sousa defeated Timur Khabibulin and Aleksandr Nedovyesov 3-6, 6-3, 6-4. But Kukushkin found his best level in front of home fans in Astana, breaking Sousa on five occasions to settle the tie. Bernard Tomic is “deliberately trying to damage” Australia’s Davis Cup team culture, says Tennis Australia, who have withdrawn all his support. Last month, Tomic accused team captain Lleyton Hewitt of ruining the national tennis system, after Hewitt alleged he had threatened him and his family. Tomic, 26, said Hewitt was a “liar” and that “nobody liked him”. Tennis Australia chief executive Craig Tiley said he was “deeply disappointed” by Tomic’s “ongoing disrespect”. Tiley added: “Lleyton is right to say Bernard will not be considered for Davis Cup. Bernard does not meet the standards of behaviour and commitment to himself, the team or the sport. “Now, he is deliberately trying to damage that culture – and not for the first time. Former world number one Hewitt, 37, responded to comments made by Tomic after his Australian Open first-round loss in Melbourne. World number 86 Tomic claimed there was a “conflict of interests” in Hewitt’s Davis Cup team selections and demanded he was removed from the role. He claimed some players were picked for the Davis Cup team – and given Australian Open wildcards – because they were represented by a management company owned by Hewitt, who won the 2001 US Open and 2002 Wimbledon titles. Tomic’s father, John, then said he planned legal action against Hewitt over an incident that took place at the 2010 Davis Cup, when Hewitt allegedly came to Tomic’s hotel room in Taiwan and pressured him to reveal who from Tennis Australia was telling him what to say publicly. John Tomic said the incident had left his son “traumatised”. “In regards to John Tomic’s recent claim in the media about an alleged incident in 2010, we are not aware of any formal complaint lodged by either John or Bernard,” Tiley said. For every player competing on the ATP Challenger Tour, there is no sweeter feeling than clutching a trophy for the first time. That maiden moment of glory is the pinnacle, the validation of years of hard work on and off the court. A first title can change the trajectory of a player’s career. Steven Diez is hoping this is that moment. On Sunday, Diez entered the winners’ circle for the first time, celebrating his first Challenger crown with an impressive run in Burnie, Australia. Needing to win six matches in seven days, he twice rallied from an early deficit, before reeling off 10 sets in a row to lift the trophy. Diez capped his week with a 7-5, 6-1 win over Maverick Banes in the final. At the age of 27, it has been a long journey of sacrifice and struggle. Diez, who was born in Toronto, Canada, yet was raised and currently resides in Spain, is six years removed from reaching his first Challenger final in Noumea. In that span, Diez was forced to draw upon his mental resilience as he navigated his way through multiple injuries and struggles between the lines. Shoulder and wrist ailments sent him to the sidelines for nine months in 2015, but he refused to back down. A year later, Diez would be rewarded with a career-high No. 162 in the ATP Rankings after clinching his first ATP Tour match win at the Rogers Cup. There, he stunned Kyle Edmund from a set down for the biggest victory of his career. He’s an #ATPChallenger champion for the first time. Congrats @diezmonge! Diez was hoping his big breakthrough would be a sign of imminent success as he returned to the ATP Challenger Tour. But few careers follow a linear path and the Canadian once again found himself battling to climb the ATP Rankings. He admits that these earlier struggles make his first title that much more satisfying. “It was really, really special. A really nice feeling, especially with everyone from home supporting me and watching me on the livestream. It was just amazing to be able to lift the trophy. If you’re winning matches, you’re earning more money and you don’t have to think about things like buying a flight to the next tournament and how you can save. Money doesn’t buy you happiness but it helps. Diez’s victory in Burnie makes him the first player from the newly-formed ITF World Tennis Tour to take the leap and claim an ATP Challenger Tour title. As of 2019, a redefined player pathway has been introduced, which encourages a more efficient and streamlined progression from one stage to the next. The best at the ITF level will eventually use their ITF ranking to play up and enter Challenger tournaments. Diez achieved exactly that, and thanks to his successful week in Burnie, the Canadian enjoyed an ATP Rankings surge of more than 100 spots to No. 307. This time, he hopes to stay at the Challenger level. “This title will help me a lot,” Diez added. “Now I’ll be able to play most of the Challenger main draws with my ATP Ranking, like back in the day. Every tournament I’ll be playing will be for ATP points and hopefully I’ll be climbing even faster. Adelaide will host some of the world’s best tennis stars in 2020 with a new week-long ATP and WTA combined tennis tournament set to take place at Memorial Drive. 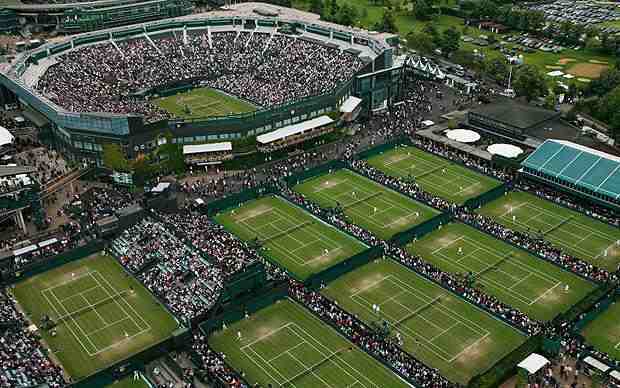 The tournament, which is subject to ATP and WTA approval, is expected to attract more than 120 of the world’s top singles and doubles players and offer a minimum of $2 million in total prize money. Tennis Australia CEO Craig Tiley and Tennis SA President Kent Thiele and CEO Steven Baldas were joined by SA Premier Steven Marshall and SA Minister for Sport, Recreation and Racing Corey Wingard MP for the announcement today. • Improved access between the centre and outside courts during tournaments. 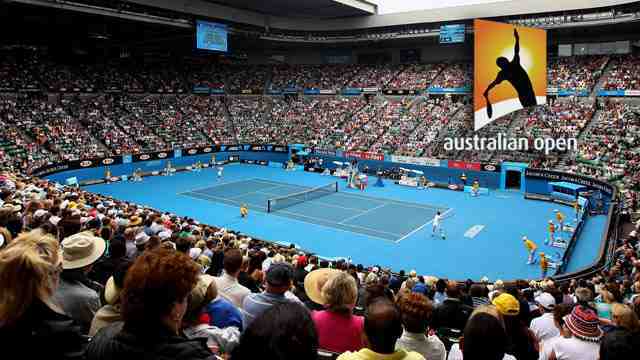 Craig Tiley said Tennis Australia had a vision for the future of the Australian tennis summer which would see the global tennis season launched each year in more cities across the country. “It’s important for us to continually improve on the great tennis offering we have in Australia to ensure there are more opportunities for players, more opportunities for fans to get to see them in their home towns and more global exposure for our sport,” Mr Tiley said. “A major part of that vision is delivering more world-class tennis to capital cities around Australia which is what this tournament will help do. It is a vital piece in our vision to ultimately grow tennis and provide inspiration for future generations,” he continued. Tennis SA CEO Steven Baldas said the new tournament in Adelaide and improved facilities at Memorial Drive will help attract new fans to the sport. “The redevelopment of Memorial Drive and the securing of a week-long WTA and ATP combined tournament is extremely exciting for tennis in South Australia,” Mr Baldas said.